Yesterday (Sunday September 23) James Mitchell, on behalf of Unite, spoke to a packed Labour Party conference in Liverpool in favour of BAME proposals in Democracy Review. “31 years ago in 1987 Diane Abbott, Paul Boateng, Bernie Grant and Keith Vaz were the first Black people elected to Parliament,” he said. “It was a direct result of the campaign for Labour Party Black Sections,” he added. The campaign came from a large network of Black activists campaigning for representation on issues affecting Black communities at a time when the far-right were marching on our streets. It was before the fight of the Lawrence family for justice and the recognition of the institutionalised racism they and others faced. “To quote from the Democracy Review – ‘Labour supports black self-organisation. We need to build on what has already been achieved’,” said Mitchel. “So conference, I want to focus on how these proposals do exactly that – strengthening of Black, Asian and Minority Ethnic structures at every level of the party,” he added. 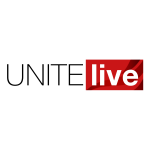 Mitchell emphasised that this is core to future democracy of our Party – and that is why Unite is supporting all eight groupings. “In members rights there is free membership of BAME Labour. In others there is the creation of BAME branches and the building of regional BAME members sections,” he said. “Making the NEC place elected by all BAME members of the Labour party and affiliates,” he added. “These changes will create a national BAME conference and representative structures. “We need to build on what has been achieved because there is still much more to do,” said Mitchell. “The far-right are marching again, institutional racism and discrimination are still there and we all know that it is only a Labour government that will take firm action,” he added. Mitchell said if we really are going to deliver a country for the many and not the few, our BAME communities need to have a strong voice at every level of our democracy in our Party. “These proposals are a huge step forward in this goal and strengthen the Party’s BAME structures,” he said. “It is the Labour party and these structures that can ensure a strong link to local communities, our CLPs, our workplaces and our trade unions and ensure the powerful involvement of BAME people so please support these proposals,” he added.